Make sure to add a little sweet to your new year with this heavenly, fluffy, nutty Pecan-Honey Butter. Use it on your breads, biscuits, french toast, or pancakes – your imagination is the limit. To toast pecans, preheat oven to 300 degrees and bake on a tray for 10-15 minutes until fragrant. Let cool and chop. 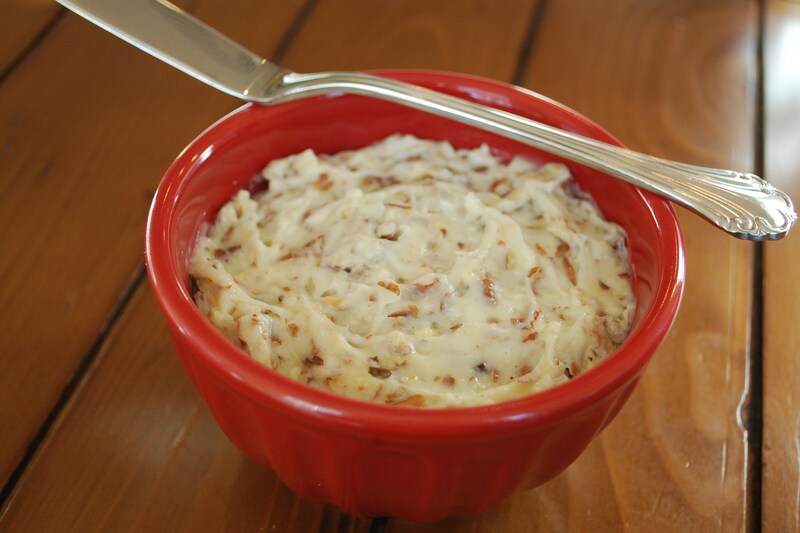 Stir together butter, pecans, and honey until thoroughly mixed. Store in refrigerator or freeze. This looks heavenly! And doesn’t sound difficult at all to make.